I am tying up summer with this post. We have been back for three days. It was a productive summer with lots of activities, mainly involving me juggling on the two wheels. 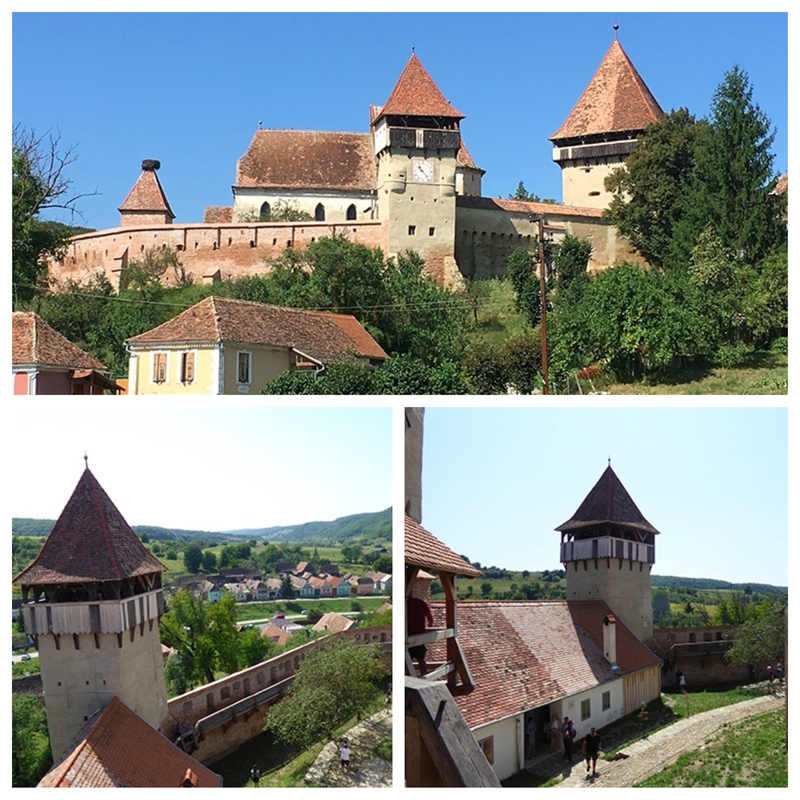 I got to push my physical and mental limits through the two wheels while exploring Transylvania. I have safely survived all these vigorous outdoor activities, and yet, ironically, I fractured my 5th metatarsal on the left foot while descending the stairs at my in-laws’ the second last week of the vacation. Photo taken in France after I visited the doctor, and got myself fitted with a pair of crutches and a Barouk shoe that enables weight to be off-loaded from the front part of my injured foot. With a swollen foot, all sports activities were halted, including withdrawing from the 9km Sibiu Night Cross Challenge. 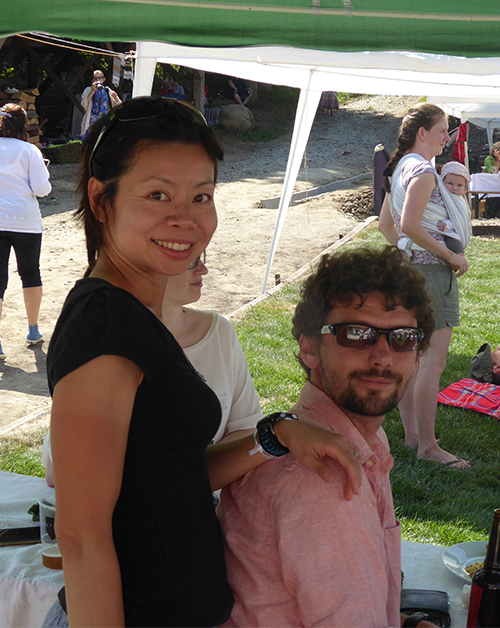 There were race distances of 4.5km and 9.0km. Participants would go round the lake in the park once and twice respectively. The route was mostly on paved roads, with a small portion on dirt roads. It was a small race of 500 participants but with great ambience. A DJ played the latests dance hits throughout the event, charging up the adrenaline of the runners. Except for a confusion in signage near the finishing line between the 4.5km and 9.0km, the race went well, and best of all, all participants were served with a plate of tasty pasta at the end (which I actively participated despite not running). 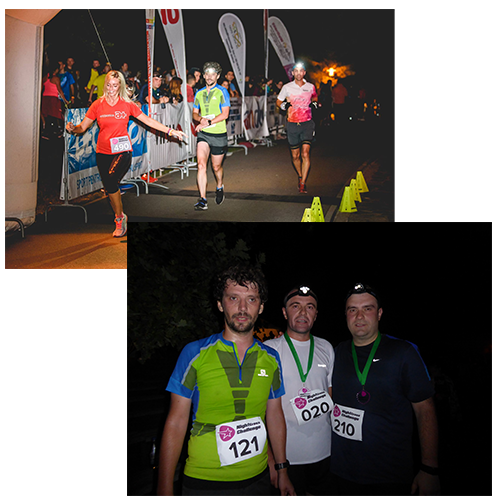 The guys – Silviu, Nicolae, and Ionel – completed the race, and seemed satisfied to have done the race, despite them complaining of sudden body “aches” a couple of days before. With my fractured metatarsal, the autumn race season is ruined. I will not be able to join the Orsay running club for at least two months and have to cancel the 2 planned races in September. The healing will take at least 6 weeks and then taking another four weeks to recover my strength. No running, minimise walking, no cycling, no swimming (as I have to walk to the pool)…it will be hard to avoid weight gain, and muscle loss. That’s why I am currently researching online for home strengthening exercises that I can do without adversely impacting my left foot. 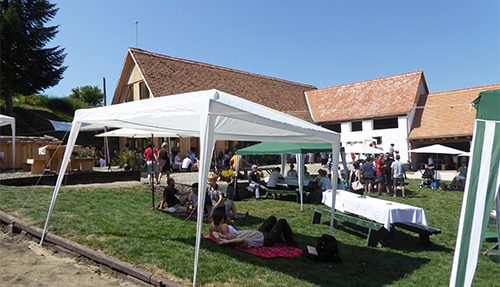 Despite the unfortunate event, I still managed to enjoy my last week of summer, ending it with an idyllic visit to Alma Vii, a former Saxon village 70km, northeast of Sibiu. 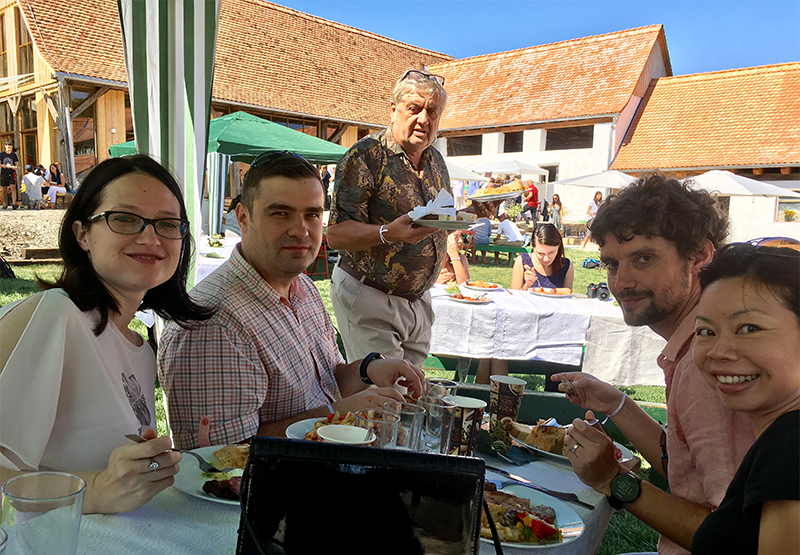 Ionel and Mirela invited us to join them at Transilvanian Brunch, a series of brunches organised in different villages in the Transylvanian region to discover the local culture. 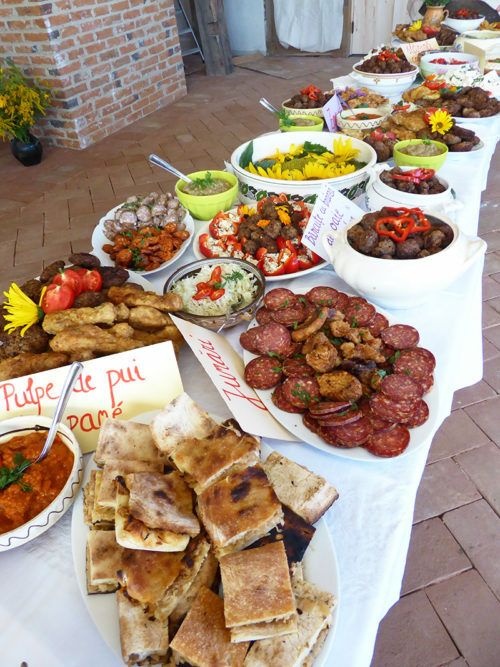 I will let the following pictures introduce Alma Vill, and what we did during our 4-hour stay with Transilvanian Brunch. 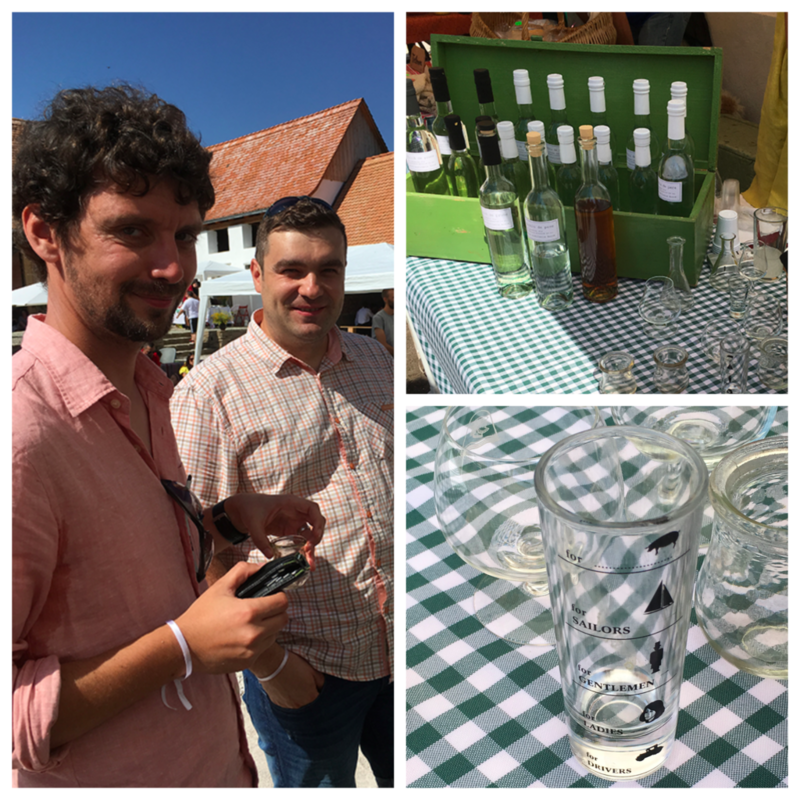 Alma Vill is an hour drive from Sibiu on a scenic, slightly meandering country road over rolling hills, interspersed with meadows and clusters of forests. Top: The 16th century fortified church is the first landmark that greeted visitors from far as the latter drives towards the village. Bottom: Views of the inner courts of the church, from one of the towers. 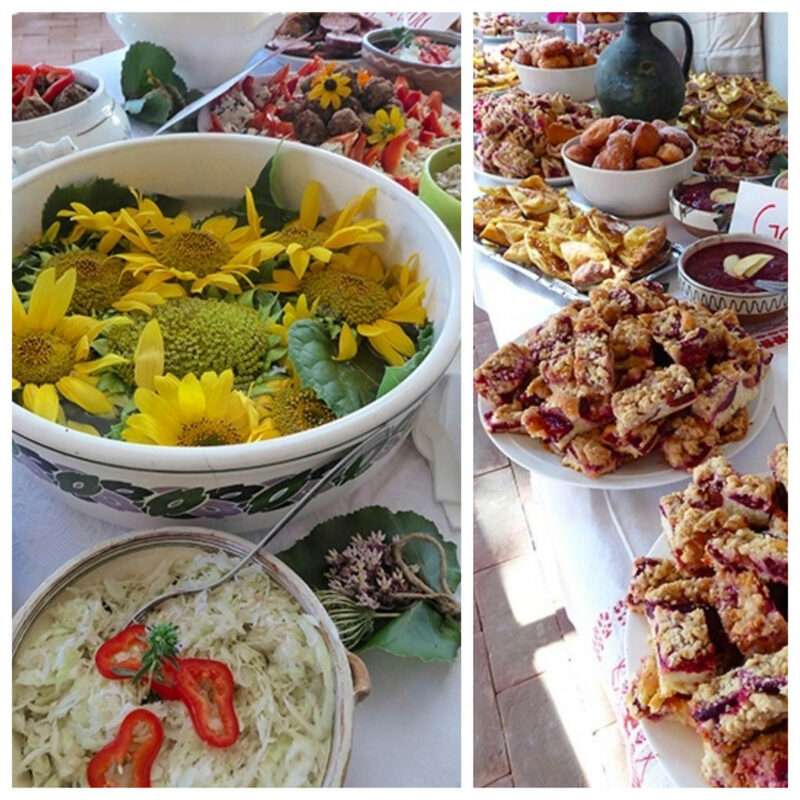 Tastefully decorated table spread of food, mostly local food and some not local (per my local guides). Chilling out with coffees, and I think, also tobacco before the eating starts. Us enjoying an alfresco lunch. Would be a good pic, except for the unknown intruder in the background. Nice way to while away an afternoon. 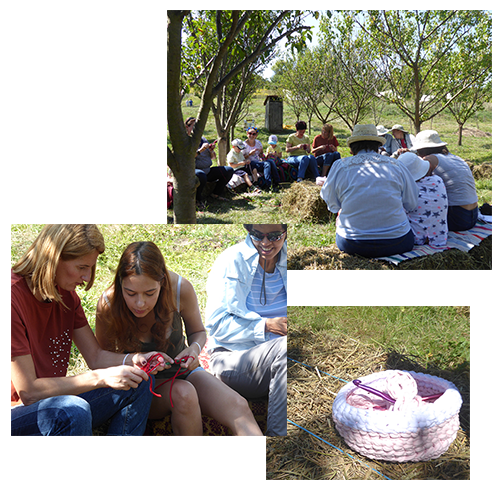 Activities for all: knitting class in the fresh air, surrounded by greenery. I was still enjoying the last few days of my summer vacation despite my injury (at that time, I thought it was just a huge bruise, and did not realise that it is actually a fracture). Enjoying the local music and dance. 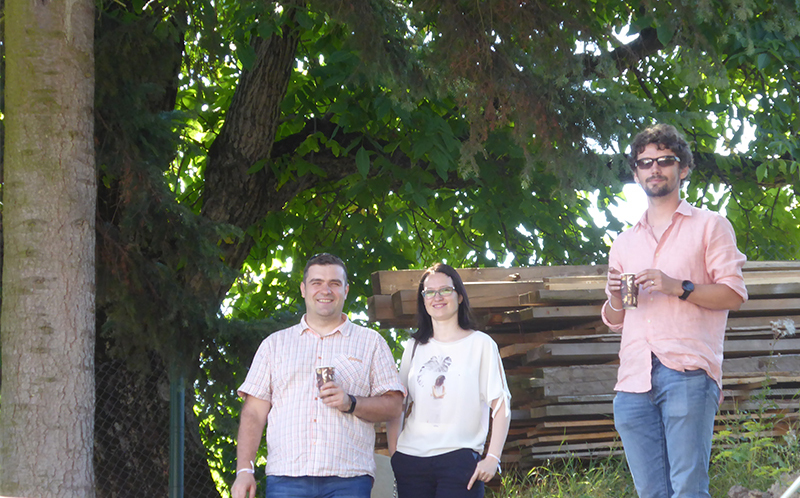 Enjoying the local delights, Tuica, of course. Right, bottom photo: can you read what’s written on the shot glass? 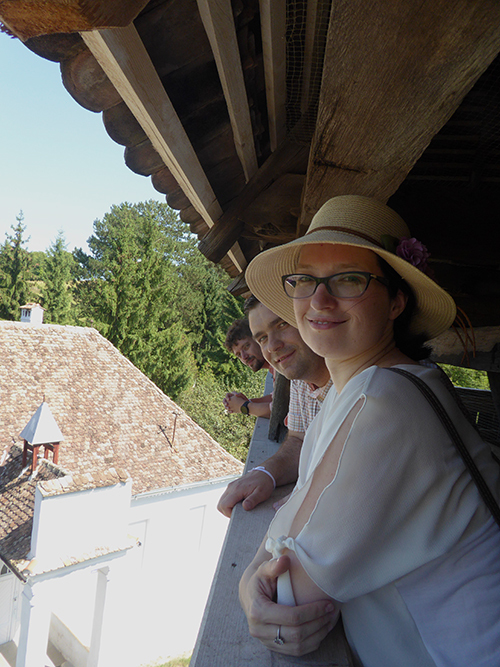 Taken at the top of one of the towers. 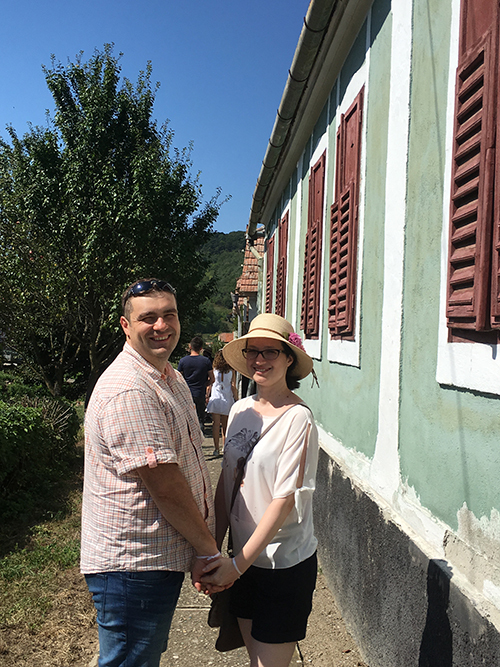 Nice photo of Ionel and Mirela, who just celebrated their 5-year wedding anniversary the day before. Congratulations! and more good years to come! 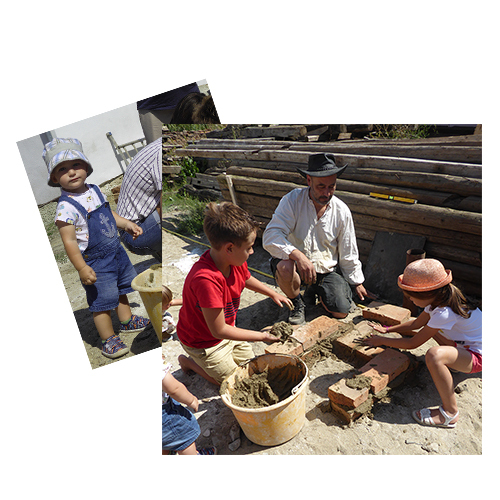 Photo taken during our guided tour of the village.